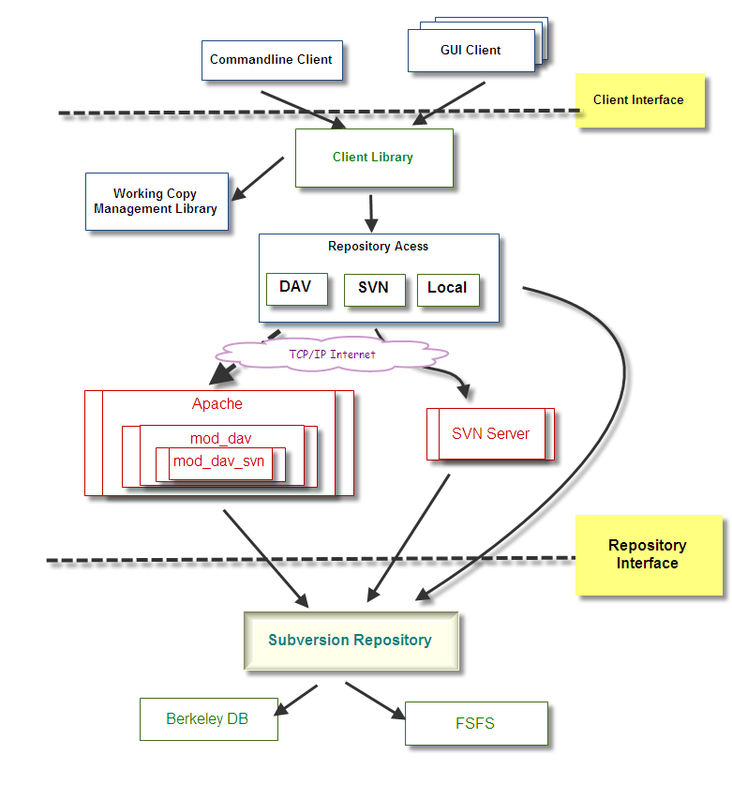 mod_dav_svn Configuration Directives — Apache configuration directives for serving Subversion repositories through the Apache HTTP Server. mod_authz_svn Configuration Directives — Apache configuration directives for configuring path-based authorization for Subversion repositories served through the Apache HTTP Server. The easiest way to authenticate a client is via the HTTP Basic authentication mechanism, which simply uses a username and password to verify a user’s identity. Apache provides the htpasswd utility for managing files containing usernames and passwords. AuthName "Subversion welcome to svn"